Get a £10 Amazon gift card when you take out a VOXI plan with our referral voucher code. Unlimited data on Facebook, Instagram, Snapchat, Whatsapp and Twitter. 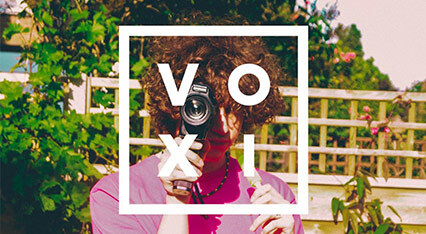 Click ‘Get Deal’ to get to the VOXI referral page. Enter your full name and email address, then click ‘Submit’. Click ‘Order your Free SIM’. Enter some details, and confirm your home address. Click ‘Order Free SIM’. You’ll receive a unique code to your email inbox that will allow you to activate your VOXI SIM card when it arrives. After your second payment you will receive a £10 Amazon gift card. Sweet! Once you’ve joined VOXI, you too can access their Friends With Benefits program. Here you can invite friends and family, and if they join with your referral link you’ll both get a £10 Amazon.co.uk Gift Card each! VOXI is a mobile network with a difference. Providing unlimited data for social media and chat apps, unlimited calls and texts, as well as unlimited roaming in Europe as standards across all plans, VOXI is a no nonsense provider that offers endless benefits. All you have to do is find a plan for the extra data you’ll want to use outside of social media! So if you’re looking for a simple, flexible and affordable solution to your heavy data usage on the likes of Facebook, Instagram, Whatsapp and Twitter, VOXI is the one for you.